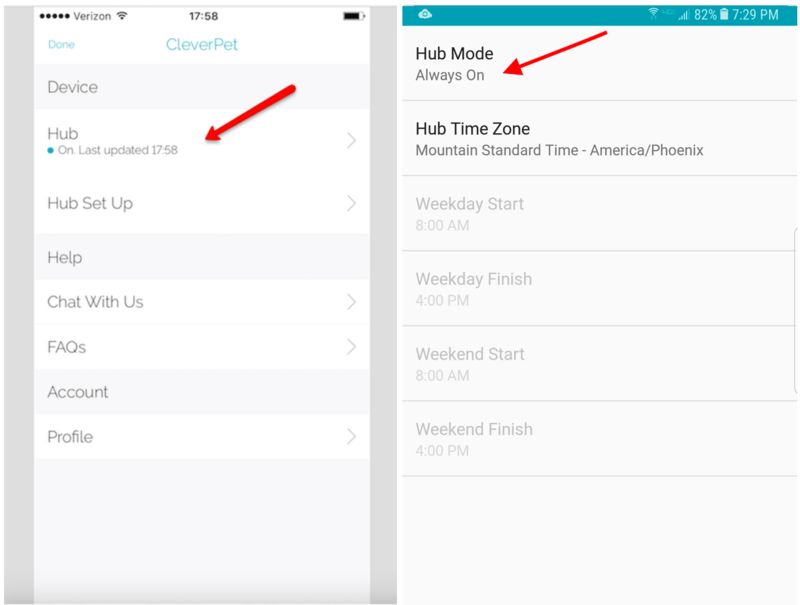 All Hub controls are located in the app. To turn the Hub on and off, go to the settings menu, marked with a red arrow in the screenshots below. In this section of the settings menu you can also find the automatic scheduler. You can use this function to start and stop the Hub at the times you choose ahead of time. After you change the schedule, it may take a few minutes for the change to take effect. Can I unplug the Hub? If you'd prefer to unplug the Hub to turn it off, that's totally fine too! Once your Hub has been set up the first time, you're welcome to unplug it and won't need to worry about completing setup again or losing your dog's progress. Once you plug it back in, your dog can pick up right where they left off.